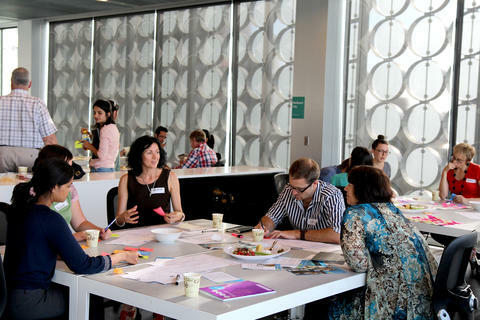 The Design Futures Lab at RMIT University is an interdisciplinary research community that investigates issues of technology, culture and communication in design. Members of the Design Futures Lab are united around key questions about how the world works through global media, and how the world communicates locally, regionally and internationally. They adopt a design-driven approach to understanding the future. The Lab’s projects span community- and industry-based partnerships that require ‘real-world’ problem solving, and it also maintains a lively schedule of public presentations, project critiques, visiting scholars and practitioners. 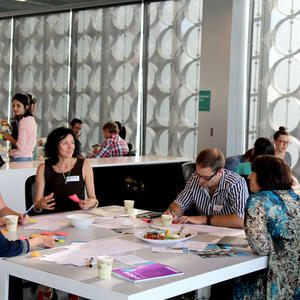 The Lab’s exploratory approach means it actively reaches out and connects with other similar research groups and projects across RMIT, Australia and internationally. It also aims to inspire the next generation of designers and business leaders.